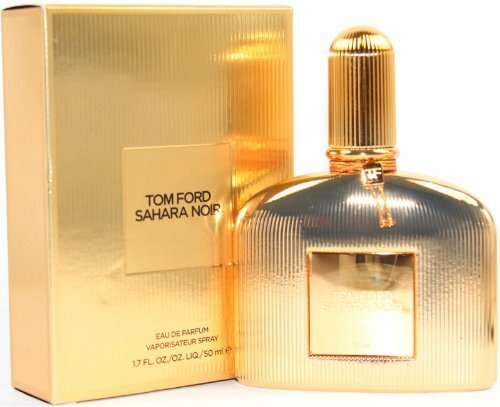 Tom Ford is augmenting his line of department store available fragrances with Sahara Noir, his newest perfume for women inspired by the Middle East. This woody oriental is encased in a gold bottle that reprises the design of Black Orchid, Violet Blonde and White Patchouli, this time in gold. Sahara Noir opens with bitter orange, sweet oasis grasses and Levantine cypress. The heart is composed of frankincense that is offset with cinnamon, Egyptian jamine and Moroccan rose. Sahara Noir finishes with cedar and vanilla tones.The name is inspired by the makeup shades by Tom Ford under the tag Sahara Haze.